I’ve got a bone to pick with whoever named The Legend of Heroes: Trails of Cold Steel. Okay, sure, the series has had the same moniker since its first entry as a Dragon Slayer spinoff in 1989, but my goodness — even if you were intentionally looking to come up with a title that would have the least impact on its potential audience, you’d be hard-pressed to do worse than “The Legend of Heroes.” I can’t speak for anyone else, of course, but that label brings to mind the sort of cheaply-made, generic junk you find on mobile app stores. And that’d be fine if Trails of Cold Steel were in the same league as said junk, but to even suggest that comparison is a travesty: not only is this one of the best JRPGs to come out this year (even with stiff competition from prime stuff like Disgaea 5 and Dragon Quest Heroes), it’s one of the best games on Vita, period. So, how does this game find its way to a lofty portable perch alongside masterpieces like Persona 4 Golden? Well, there’s a lot to talk about, but one of the smartest moves Trails of Cold Steel makes is taking a bunch of cues from Atlus’s beloved classic — cues that helped the Shin Megami Tensei spinoff franchise crawl out from niche status into the mainstream, where it now goes toe-to-toe with the series that made JRPGs a household name. That is to say, just a few of the familiar things you’ll see in Trails are: bonds that can be grown between the protagonist and his party members to gain benefits in battle; a school setting where answering the teacher’s questions correctly nets you a bonus; a calendar system that balances “free days” with mandatory, story-related events; and, of course, fishing! Okay, maybe that last one’s not part of the mix, but there’s a more important point to be made here: this is not mere imitation. While many of the mechanics at play will feel more than a little familiar to fans of Persona, Nihon Falcom’s game creates a wonderful little world that is entirely its own. Our hero is Rean Schwarzer, a blank-slate-ish kid who decides to attend Thors Military Academy in the hopes of finding his path in life. Once there, he discovers he has been assigned to the mysterious “Class VII,” the only one to blend students from the aristocracy with commoners — and also the one put in charge of testing new military equipment. Using technology called ARCUS, the students must learn to put aside their differences and work together to complete various “field training” missions assigned to them by their kooky Ms. Frizzle-esque (a la Magic School Bus) teacher. As they travel the Erebonian Empire, they begin to realize the real reason they have been brought together, and face their biggest challenges yet against the backdrop of a looming civil war between the social classes. A lot of the credit for the unique charm of the Western version of the game has to go to XSeed Games, whose localization lifts the narrative from the murky waters of “anime school life” cliche and into the realms of real narrative heft. As you can tell, the story isn’t the most original you’ve ever heard of, but the joy is really in the details here: specifically, in the surprising depth of the characters. 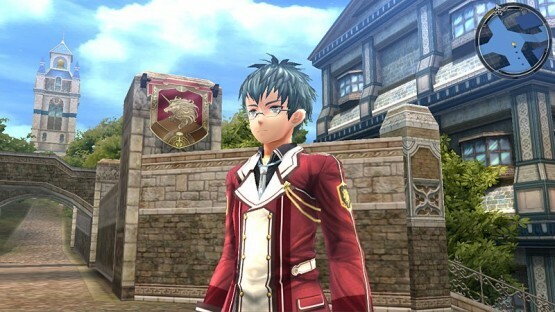 Though they seem to be anime archetypes on the surface — Machias Regnitz is an erudite megane, Alisa Reinford goes total tsundere over Rean, and so on — there’s a lot more to them than meets the eye, which becomes evident fairly early on. For example, Machias’ strong loathing for the nobles and subsequent rivalry with elitist peer Jusis Albarea is at once humorous (their childish behavior toward each other is kind of endearing) and intriguing (there’s real tension and interest generated by their reasons for mutual hatred). The dialogue is written superbly, too, so scenes that would otherwise generate groans land with shocking sincerity; I was fully prepared to roll my eyes after an early interaction between Rean and Alisa puts them at odds with each other (let’s just say one collapses onto the other in a very titillating position), but their resolution is actually fairly realistic and poignant, with both characters taking responsibility in an adult way. There are plenty of laugh-out-loud moments, too, most of them coming from the aforementioned wacko teacher. Make no mistake, Sara Valestin is one of this game’s greatest treasures, an unflappable enigma of a woman who seems amazingly talented at some times and hilariously incompetent at others. One scene, involving her decidedly irresponsible overuse of alcohol, is a fantastic example of the writing’s ability to be funny without resorting to immaturity or sophomorism. Having well-written, likeable personalities is really important, of course, because non-combat story segments make up a significant portion (about half or more) of the gameplay on offer. Sara signs Rean up to volunteer for the Student Council, which means there are a boatload of sidequests for you to complete when you’ve got time off. These, alongside other optional activities — cooking, fishing and even playing a card game — are a lot deeper and more engaging than you might expect. In fact, there was a point during the early game at which I became overwhelmed with the amount of things to do, before realizing I could settle into a fairly regular schedule during my free time: spend some of my affection points to bond with my favorite classmates, pop off the available sidequests and do a little shopping and chatting in the school and nearby city. All of this is made easy with the map screens, where super-handy icons tell you which students are available for bonding and where they are, and even display the locations of quests — helpfully color-coded to help you discern between optional ones and those that will advance the story. So how about that other half of the game? 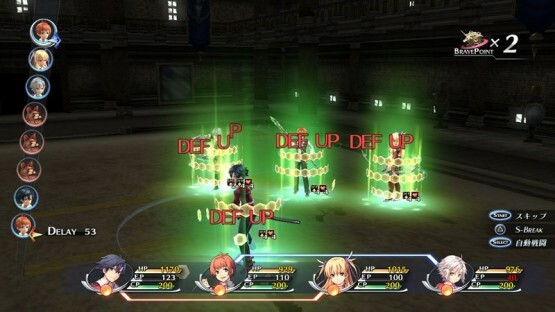 Well, Trails of Cold Steel has a lot going for it in the combat department as well. There are plenty of options for character customization, from the Materia-like “orbment” system — place a piece of Quartz into your expandable set of slots and you earn the right to use its skill — to modification and enhancement of your gear. The actual battle mechanics take a bit of getting used to, as they combine traditional turn-based gameplay with tactics-lite elements that consider your place on the miniature field, but they’re easily learned and satisfyingly tricky to master. 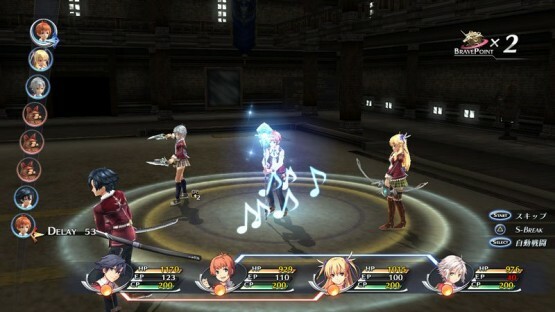 A lot of the fun comes from thinking up creative ways to take advantage of the Link system, which lets your characters assist each other and learn new abilities as they get closer to each other — by mingling on the campus in special event sequences, but also through fighting alongside each other in dungeons. The sense of camaraderie you get from your lovable party members in the life-sim moments of the gameplay really do a lot to make your victories in battle feel that much sweeter. 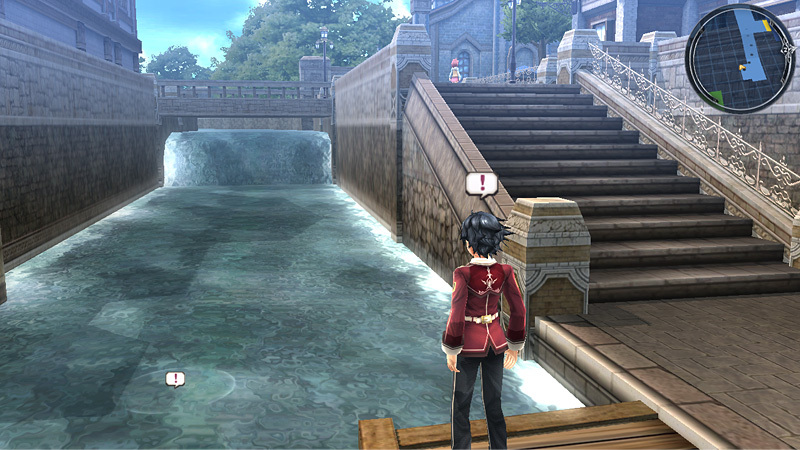 Trails of Cold Steel isn’t, as you might imagine, going to win any awards for its presentation this year. It’s a fairly dated looking game, even for its original 2013 release date in Japan, but that shouldn’t stop anyone from enjoying what it has to offer visually. The character designs are great, for one thing, and the animations for special attacks during combat sequences are flashy and fun to behold. The audio side of things is comparably satisfying, with a set of fantastic voice actors (yes, the English voices are not only tolerable, but quite a joy to listen to) and catchy tunes setting the tone for the action. Special praise has to go to the boss themes, which are either fully orchestrated or very effectively synthesized. 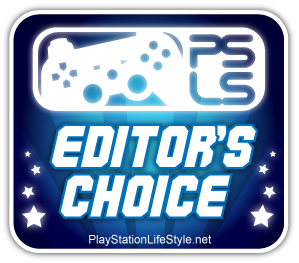 Either way, they’re excellent, and they make the strategic depth of taking down the Big Bads all the more enjoyable. The next couple points may seem like odd things to praise in 2015, but since JRPGs often get a lot of flak for their antiquated systems, I felt like these were worth mentioning. First of all, thank you to the team at Nihon Falcom for understanding that save points are an obnoxious, unnecessary relic of the medium — being able to save wherever and whenever in this title is a real boon. Second, a round of applause for the ability to fast travel. Even though you’re never going too far when you’re on campus or walking through the school’s neighboring city, zipping about using menus is quick, clean and saves considerable time you’d otherwise spend trudging about. Overall, there’s just a sense that the game understands the things that annoy us the most, and makes a significant effort to up the ante on player friendliness. That actually brings us to the only two things there are to complain about. These are minor quibbles, no doubt, but they’re disappointing to see in a game that otherwise does a great job of reducing irritation. The first is that battles, while over fairly quickly in most cases, really begin to overstay their welcome when more than four enemies are present. The game includes a “Skip” button to move past the animations of battlefield actions, but the time it takes for the game to actually respond to this seems comparable to the time it takes to watch the animations in the first place. A fast-forward button, like the one implemented in the PS4 port of Final Fantasy VII, would have done a much better job of easing the agony of watching eight enemies take their turn a lot. As for the other complaint, I’m putting myself in the shoes of players who might not like to read a ton of extraneous dialogue — personally, while it never really bothered me all that much, there are plenty of exchanges that fill ten text bubbles when just one would have done. Bottom line: these characters are chatty as hell. Some people will love that, others will groan. You’ve been warned. The Legend of Heroes: Trails of Cold Steel is a godsend for Vita fans. 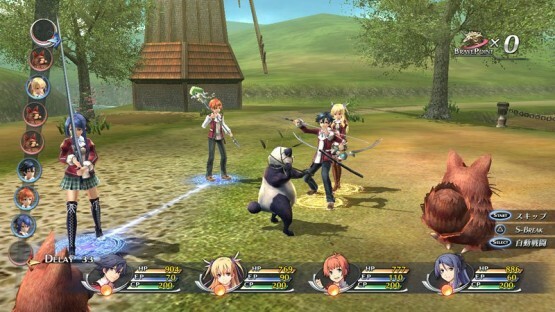 At a time when support for the little handheld seems to be rapidly dwindling, here comes a role-playing masterpiece with all the right stuff: XSeed’s superior localization, which bypasses anime cliches in favor of real depth; an addictive set of life-sim mechanics, from bonding with the lovable cast to cooking a bevy of dishes; and a combat system that rewards customization and cooperation between party members. There’s an equally-awesome PS3 version available for those without Sony’s portable, but there’s something magical about holding this much game in the palms of your hands. Fans of Persona should check this out, as they’ll likely dig the game’s use of familiar mechanics, but let’s be real — if you have a pulse and you like RPGs, you should move this one to the top of your to-do list. The Legend of Heroes: Trails of Cold Steel review code provided by publisher. For more information on scoring please see our Review Policy here. Overwhelming amount of things to do: Questing! Fishing! Cooking! A card game!